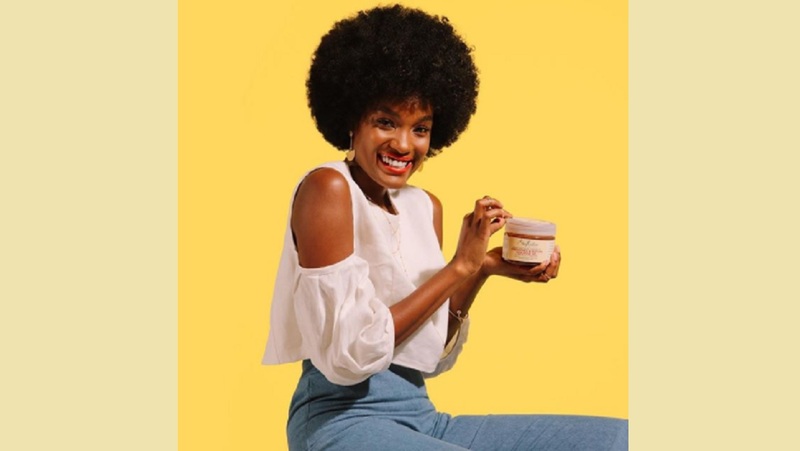 Jamaican beauty queen Davina Bennett, who finished second runner-up in the Miss Universe pageant in the US last November, is the new face of American natural hair brand Shea Moisture. The 22-year-old will be the face of Shea Moisture's line of Jamaican Black Castor Oil. 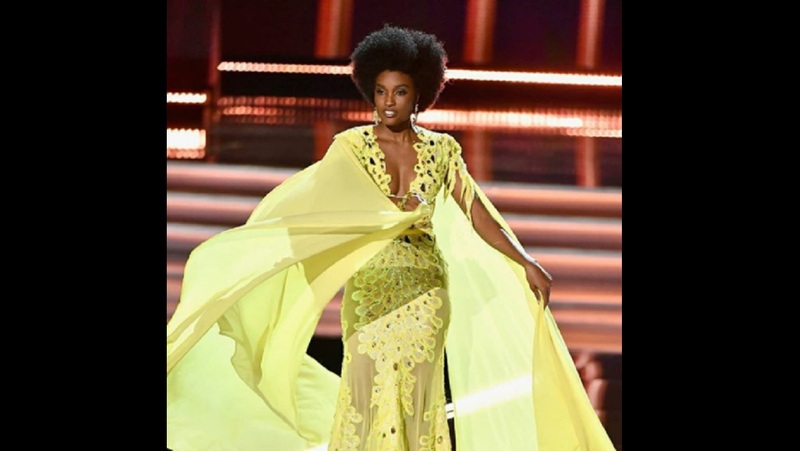 One of the United States' largest black-owned businesses, Shea Moisture was among those who immediately showered Bennett with praise after her performance in the Miss Universe pageant in Las Vegas, Nevada, stating that the Jamaican "rocked her natural crown and won our hearts". In announcing its partnership with Bennett, the company via its social media pages said it was celebrating the deal by offering customers 20 per cent off on the product. "We’re giving you 20% off site wide. RUN over to SheaMoisture.com and use DAVINA20 at checkout," stated the company in a post. The afro-wearing Bennett was a crowd and television favourite during the contest. 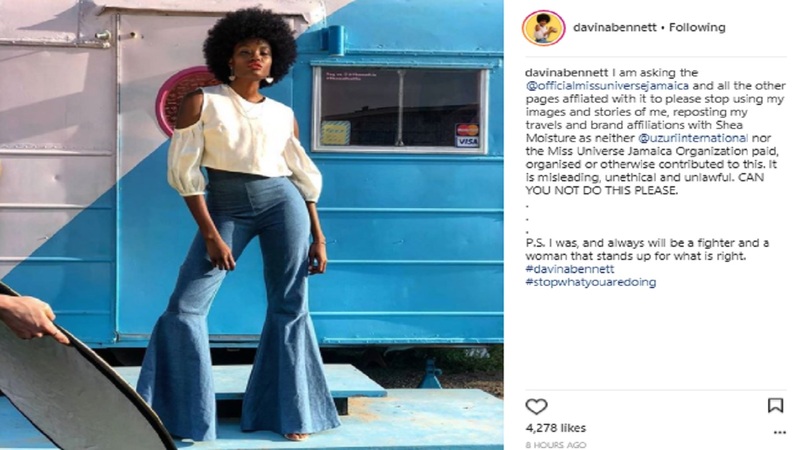 In her announcement of the deal with Shea Moisture on social media, Bennett used the opportunity to highlight her disappointment of not being crowned Miss Universe. She said, “November 26th when I was announced as Miss Universe second runner-up, I stood in that corner and cried! I cried because I was finding every reason for what I did wrong that made me feel like I lost once more. 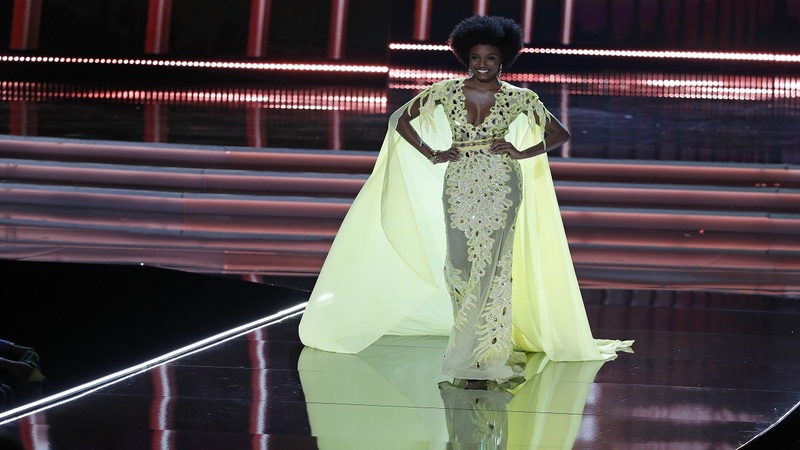 “I wasn’t thinking about history, nor what happened on that stage until my coach came to me and said, ‘Miss Jamaica, wipe your tears, because what you have done here tonight, no one has done it before and you are extraordinary’. “I then realized what my participation represented for women and girls across the world that look just like me,” Bennett said. According to Bennett, that presented the opportunity to open doors, which is now materialising with this signing. Since November, Bennett has maintained her Afrocentric look, which Shea Moisture is hoping to use to its advantage. Meanwhile, Bennett also stirred some controversy when, also on Instagram, she advised Miss Universe Jamaica not to share her posts highlighting her affiliation with Shea Moisture "as neither @uzuriinternational nor the Miss Universe Jamaica Organization paid, organised or otherwise contributed to this. "I was, and always will be a fighter and a woman that stands up for what is right," she added. It created a buzz with a number of individuals weighing in on whether it was frivolous or not.